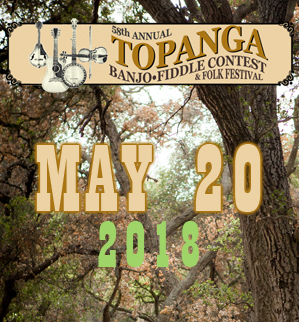 Registration is now open for the Topanga Banjo Fiddle Contest & Folk Festival Flatfoot/Clogging/Buck Dance Contest. Take Ventura Freeway (U.S. 101) to Kanan Road exit. South on Kanan 0.5 mile. Left on Cornell Way and veer to the right. South 2.5 miles, entrance is on right side of the road. 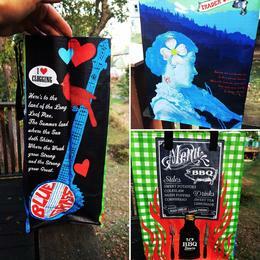 This is a day of Music and Dance with contests and performances. *Registration for the Flatfoot/Clogging/Buck Dance Contest covers entry cost into the Festival. 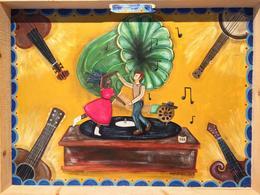 We are inviting dancers from around the area to come out and compete for prizes like these custom painted dance boards by folk artist Angelina Elise you can check out her other work here: http://www.angelinaelise.com/. There are 4 categories of Awards: Youth, Young Adult, Adult, and Senior. Special Awards will be presented for the youngest and oldest entrants. © Rebecca Stout. All Rights Reserved.